Features Nicam Tuner, HiFi Stereo Sound. Other Details I had to redo the timing of the gears to get this working. 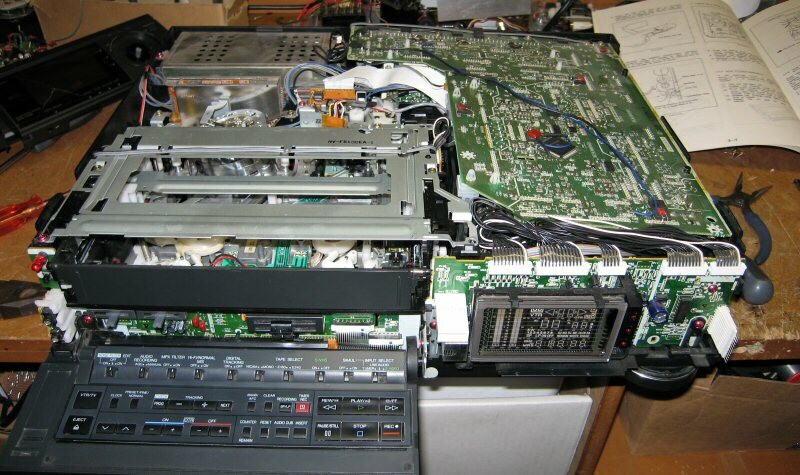 The NV-G20 Service Manual is required for this or other service manual that gives detailed information about the G mechanism assembly and adjustment. Has issues with playback color. 2019/04/19 Tested: Plays Ok but after a few seconds the sound stops. Picture is ok. Page Generated 2019-04-27, 12:27:42 am NZ Time - oldvcr.tv oldvcr.com - Paul Seeley © 2019. All rights reserved.